Hi, we're the Govea Family of North Ft. Worth Texas. Have any question or ideas? Email Pete or Roxann. We have our family tree on ancestry. Like anything else its constantly being upgrade. You can help by creating your own tree on ancestry and linking your tree with ours by creating an account and search for | NorthTexasGoveaFamily on Ancestry. Together we can build a life story for generations to come. We are udating our site so changes are coming and thus some links will not work. 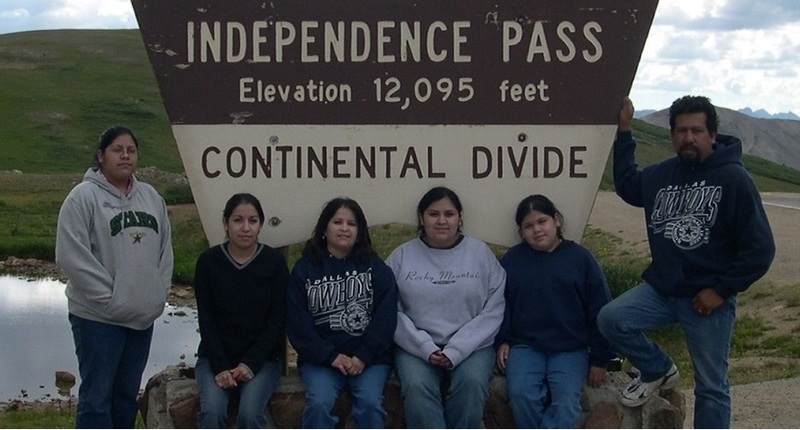 Picture was taken in Colorado 2003.